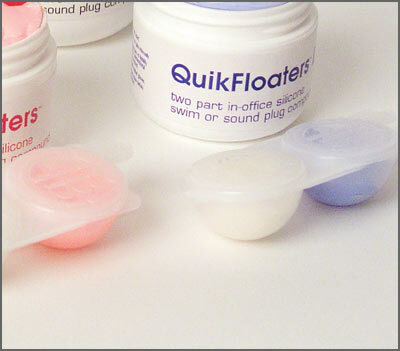 QuikFloaters™ is a superior two-part vinyl polysiloxane impression compound specifically formulated for custom in-office swim molds and noise protectors. 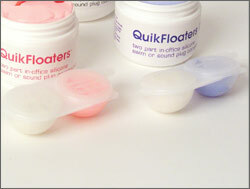 Packaged in pre-measured, pocket-sized individual units. Each solo makes one impression. Tear-resistant, floatable. Cures in 5 minutes. Fully cured Shore-A: 22±3. Made in U.S.A.